Visitors look at a display for 5G wireless technology from Huawei at the PT Expo on Sept. 26, 2018, in Beijing. Two U.S. Senate intelligence committee members want Canada to follow their country and Australia's lead in blocking the Chinese technology firm from supplying equipment that will connect future smartphones to the internet and telephone network. Two influential members of the U.S. Senate select intelligence committee have written Prime Minister Justin Trudeau, urging him to bar Chinese telecom equipment giant Huawei from Canada’s next-generation 5G mobile network on the grounds the Shenzhen-based firm represents a significant security risk. These American concerns cross party lines. The pair are Republican Senator Marco Rubio and Democrat Senator Mark Warner, vice-chair of the intelligence committee. They want Canada to follow the lead of the United States and Australia in blocking Huawei from supplying equipment that will connect future smartphones to the internet and telephone network. The senators caution Mr. Trudeau that allowing Huawei into Canada’s next era of wireless infrastructure could interfere with intelligence sharing between key allies and impair cross-border co-operation in telecommunications between U.S. and Canadian firms. “We write with grave concerns about the possibility that Canada might include Huawei Technologies or any other Chinese state-directed telecommunications company in its fifth-generation (5G) telecommunications network infrastructure,” Mr. Rubio and Mr. Warner wrote Mr. Trudeau in an Oct. 11 letter obtained by The Globe and Mail. 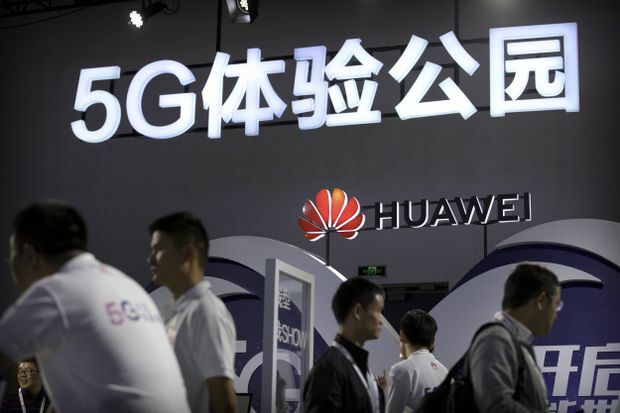 The senators raise the prospect that a Canadian embrace of Huawei technology in its 5G networks could affect the sharing of sensitive and confidential information between Five Eyes intelligence-sharing allies. The United States, Britain, Canada, Australia and New Zealand constitute the Five Eyes, which allows police, prosecutors and spies to exchange information to prevent espionage and terrorism. Mr. Trudeau has previously declined to say whether Canada might ban Huawei. “We will make decisions based on the facts, on evidence and what is in the best interests of Canadians,” Mr. Trudeau said in August when asked about this. Moreover, they noted, Britain’s Huawei Cyber Security Evaluation Centre Oversight Board’s 2018 annual report to Britain’s national-security adviser found that “identification of shortcomings in Huawei’s engineering processes have exposed new risks in the U.K. telecommunications networks and long-term challenges to mitigation and management" there. “Given the strong statements by former Canadian national security officials as well as similar concerns out of the U.S., Australia, and the United Kingdom, we hope that you will reconsider Huawei’s inclusion in any aspect of Canada’s 5G development, introduction, and maintenance,” Mr. Rubio and Mr. Warner wrote. They urged Mr. Trudeau to talk to U.S. intelligence officials. Huawei Canada has always said the firm has worked openly and transparently with the Canadian government and domestic telecoms for a decade to satisfy national-security concerns. The Prime Minister’s Office declined to comment on the matter.